I am a research scientist at the University of Texas Institute for Geophysics. I was recently doing some field work near Hubbard Glacier in Alaska. The glacier is near the small town of Yakutat, which is only accessible by boat or plane. It has two small liquor stores that are not particularly well stocked most days. 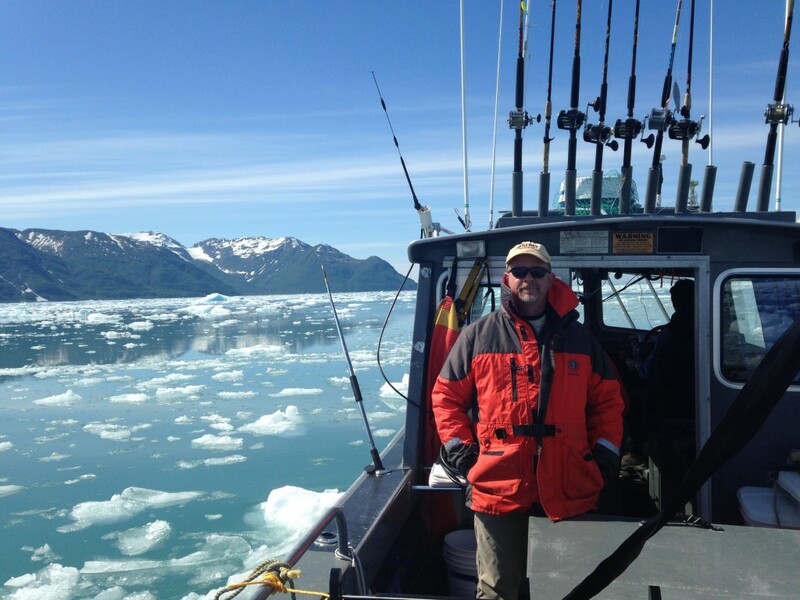 Guest blogger John Goff stands on a boat while doing field work near Hubbard Glacier in Alaska. One of the things we like to do when working at the glacier is to grab super-clear ice, which calves off the glacier into the sea water, and use it for cocktails. This type of ice is rare and very old – probably 100’s of years old. It gets super clear by being compressed for a long time, which squeezes all the air bubbles and other impurities out. It is, quite simply, the best ice in the world. I’m normally a gin man myself, and was hoping to make some gin martinis with glacier ice. Back at the Yakutat liquor store, I was distressed to find that the only gin available came in a plastic bottle. Completely unacceptable for the best ice in the world! But, by some odd stroke of fate, they had Tito’s Handmade Vodka on hand. 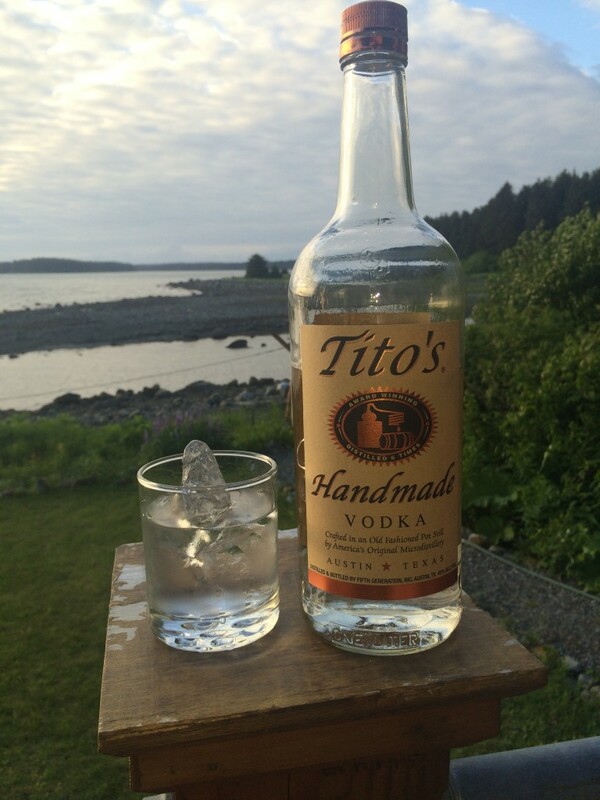 A bottle of Tito’s Handmade Vodka and a glass of Tito¹s poured over the best ice in the world in Yakutat, Alaska. Being from Austin, I knew of Tito’s fantastic reputation, even though I’d never tried it before (being a gin man). And being from Austin, what could be more appropriate than to try Tito’s for the very first time in Alaska poured over the best ice in the world? And so I did, along with my companions, and we were all blown away by the taste and smoothness. Tito’s Handmade Vodka was indeed the perfect accompaniment for the best ice in world.